Employee recognition should be considered a key ingredient in your business mix. Singling out exceptional employees for excellent work isn’t just a nice gesture: It boosts morale, increases productivity and innovation, and helps retain top performers. But acknowledging staff who make a difference often becomes an “I’ll-get-around-to-it-later” task for busy managers. Many wait too long for the compliments to have the desired impact, fail to match praise with the achievement, or forget to say thank you altogether. If you’ve been faltering lately in giving hardworking team members rewards for exceptional effort, take action now. Hiring of financial professionals is accelerating, and you don’t want to risk losing your best employees to the competition because they don’t feel recognised. Here are three ways to promote employee recognition and ultimately let talented professionals know you appreciate their contributions. 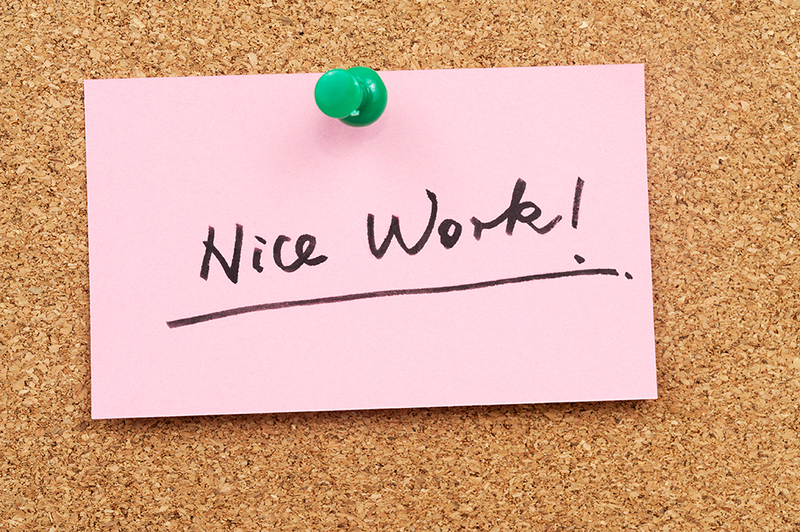 Be quick to acknowledge your employees’ accomplishments. Often, a verbal thank-you or handwritten note directly from you can go a long way towards making a team member feel valued. However, accolades shouldn’t come just from the top. Praise from colleagues is often as meaningful as a nod from a manager, so be sure to foster a culture that encourages peers to commend each other openly for a job well done. How you offer compliments depends on the situation. Some suggestions to consider include praising an individual or an entire project team during a staff meeting, spotlighting their achievements in an article on the company’s intranet or newsletter, or rewarding them with a paid day off or a special treat such as lunch or a movie. While there’s no substitute for thanking employees for their hard work and accomplishments on a regular basis, be careful not to overdo it. Avoid praising team members for simply carrying out their basic job requirements and reserve accolades for truly outstanding performance. When possible, tie recognition to achievement of specific business results. A culture that recognises and rewards high performance is a key aspect of most successful companies. Your most valued staff members need to know they make a difference and that the firm performs better because they are part of the team. Matt Weston is Managing Director at Robert Half UK. Robert Half is a specialised recruitment consultancy and member of the S&P 500. Founded in 1948, the company has over 325 offices worldwide providing temporary, interim and permanent recruitment solutions for accounting and finance, financial services, technology, creative and administrative professionals. roberthalf.co.uk and twitter.com/roberthalfuk.